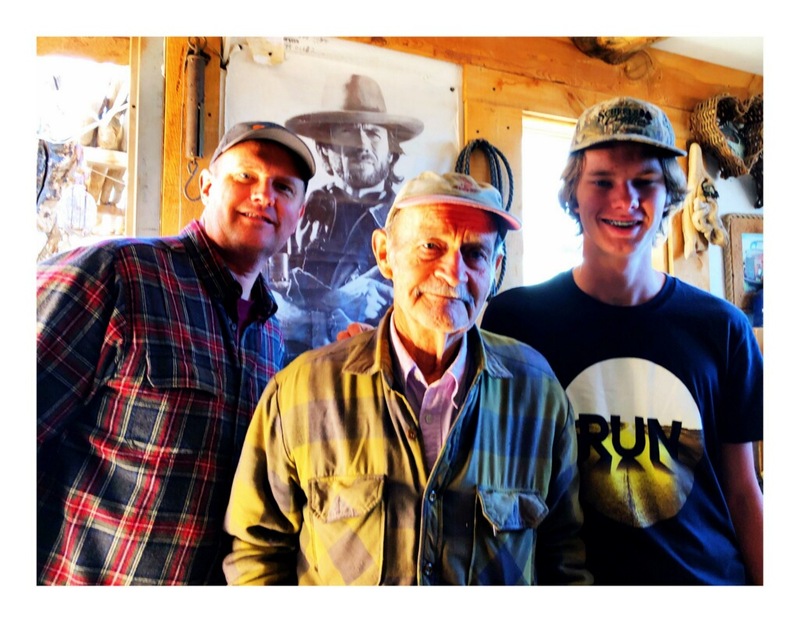 My son Hyrum and I recently visited with one of my life’s heroes, Harvey Russell. 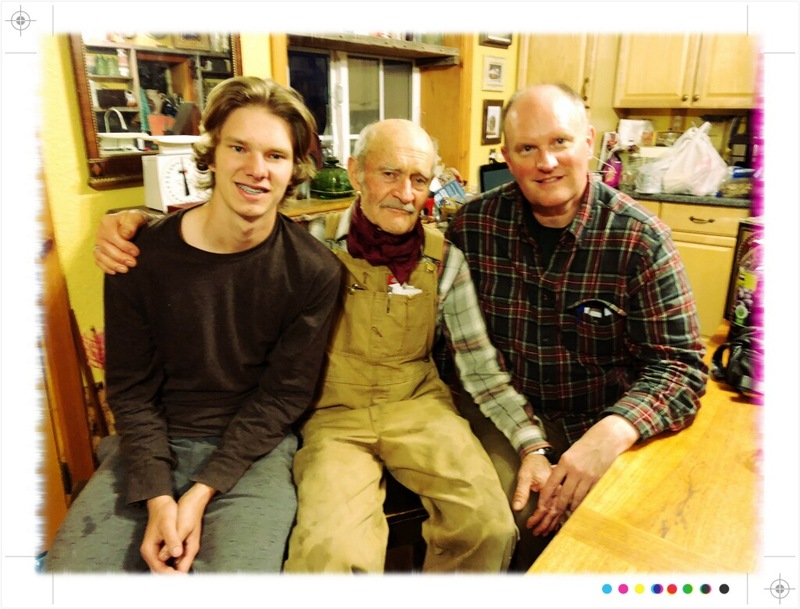 Harvey has been a mink rancher, tanner, mountain man, handyman, and friend to American Indians. He helped me build my chicken coop and brought me to a four-hour sweat ceremony led by Sun-Chiefs. His Indian name is Many Feathers. 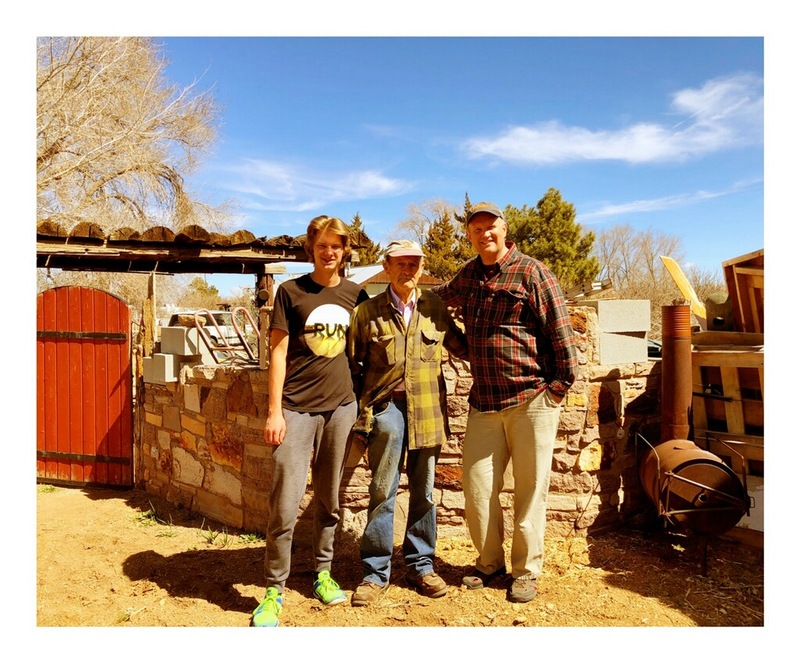 Arriving at Harvey’s place, Hyrum and set to work helping Harvey with his chores and projects, during which he told stories of the “old days” and we laughed and enjoyed just being together. The happy juxtaposition of these two men, one 16 and the other 81, struck me. They got along marvelously together, each respecting and enjoying the other. Kindred spirits, perhaps. Those ruminations led to this little poem. Here are more pictures of our visit. 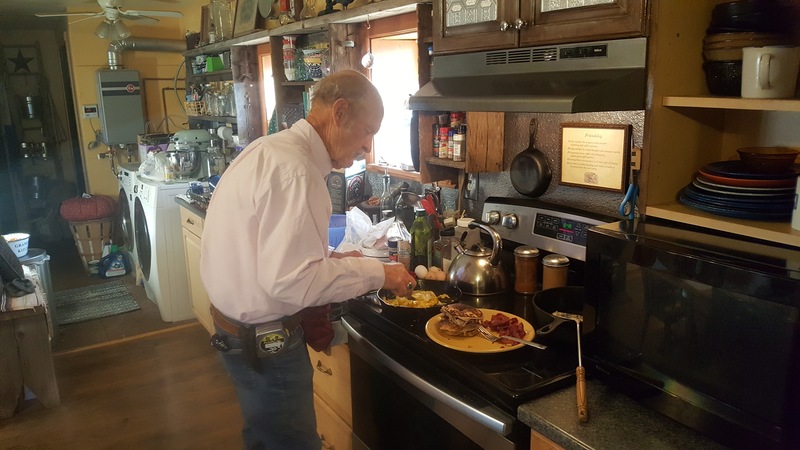 This entry was posted in Family, Memoir, Native American, Poetry and tagged Friends, Poem on March 28, 2019 by Roger Baker-Utah. 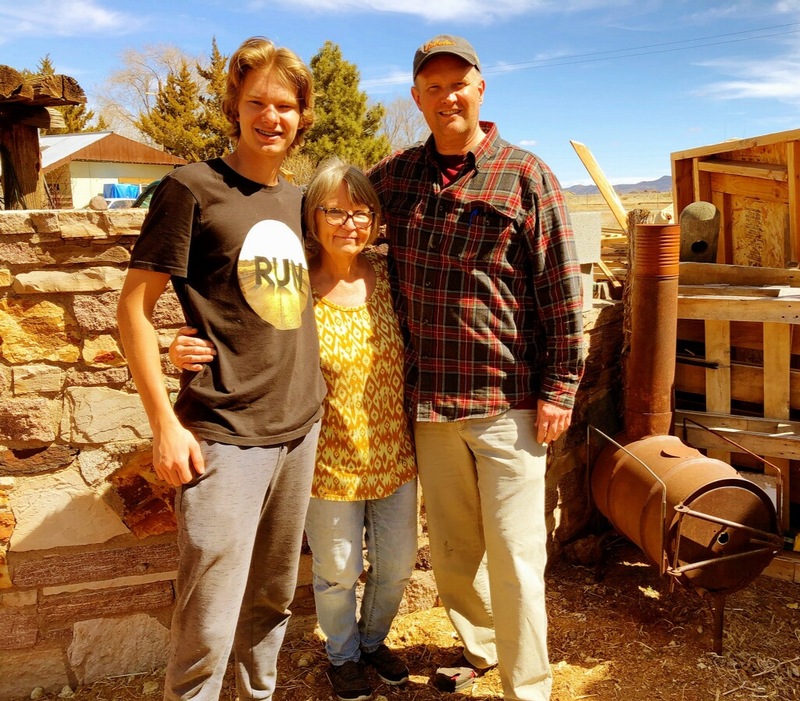 I love the togetherness of this story, photos, and poem The picture of you and your son and the lady reminds me of one of me with two of my grandsons who are over 6 ft. tall and I am 5’3. Thanks Patsy. I’ve been a bit withdrawn lately and haven’t opened my Reader for a month. Sorry I’ve missed all your recent posts. That’s okay, Roger. I hope you are back on the path.